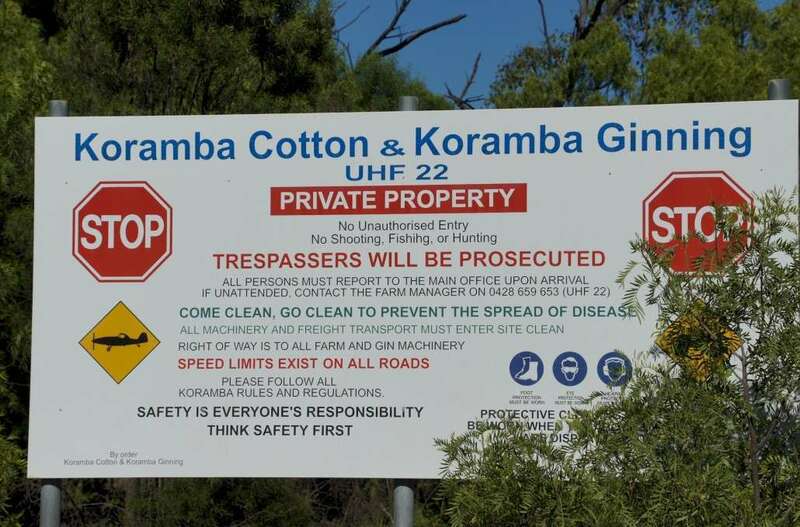 Why Do We Write So Much About Koramba Cotton Farm? We do not have a pension, we are not wealthy but when we decided to go on the road to learn about ourselves and this country we did it in faith. We believed in our business and the need for me to learn at least some of it. For 18 months we did just that, travelling around seeing Australia working on the business. But I was starting to go stir crazy not being able to chat with people. When Chris is coding he likes things SILENT. Now for anybody who knows me, that’s not really my style. How can anybody keep quiet in a 20ft caravan? Even if I asked Chris if he wanted a cup of coffee it was usually when he was about to solve a problem and by the time he answered me the complicated code that was forming in his head magically disappeared. So here we were in Adelaide deciding if we should head over to Western Australia. Around that time Ashley and Lish were about to give birth to Riley and we didn’t want to be over 4000km away and have to come back. We were also supposed to be learning other ways of living. Yes, we were doing that with the van. Living with Solar and gas we have been astounded how easy it all is. Solar you can leave civilization for good. With the occasional need to turn on the generator to boost the battery’s during cloudy weather or if you wish to use the washing machine. But we do have to make it to town to refill the gas bottles. We can last about 3-4 weeks using a 9kg gas bottle cooking, having hot showers as well as running the fridge. Of course, the big one is fresh water for drinking and finding a suitable water source for showering and washing up. But we wanted to learn more. How to hunt and kill our own food if we needed it, how to grow fruit and vegetables without having showers of rain every day that we used to live on the Sunshine Coast. Remember the coast had no water restrictions the whole time the drought hit the rest of the state. We also didn’t want to dig into our savings just driving around the country. So we applied for a cooking position at Koramba Cotton Farm relieving the cook for 6 weeks which you can read about here. After the 6 weeks, we travelled to Alice Spring and did another 2-week cooking stint for an Artist Camp. During our 6 week time away from Koramba we had kept in contact with our recruiting boss Martyn Morrissey. So once again in Adelaide thinking of heading over to Western Australia during winter we received a call from Martyn saying the cleaner had left and would I like the position. It wasn’t a hard decision to make looking at ice over the windscreen of the Nissan at 8.30am in the morning. We were Queenslanders used to cool nights and lovely warm days through winter. So Koramba called us back…for 3 months. And then for another 3 months while a new cook was found. When that situation went south we said we would stay until Martyn found somebody else. This proved a little difficult and even if he did find someone there was always a problem, they might have had dogs. The farm has a No dogs in camp policy. This was due to casuals turning up with pets who then would be on a chain all day or backpackers finding a cute puppy and then what do they do with it when they move on? It got to the stage where we just said STOP! We would do the cooking and cleaning. We felt very much at home here, enjoyed the job, loved the people and could still get to go home with the birth of two more grandchildren. So sixteen months later we also could see the signs of no rain, none on the long-range forecast and none of the farmers talking about it, even as “City people” we knew the farm would not have enough water to plant crops the following year. We told Martyn we would stay until the end and close down the kitchen for the farm. Two years had gone by so quickly, but those two years had taught us so many things. How to drive a tractor, a backend loader, a bulldozer, a ride on mower, we’ve got our gun licences, we own a cow. 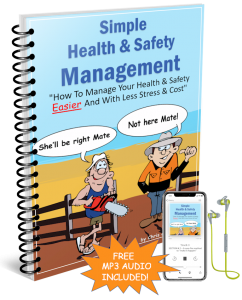 I can tell the difference between hydraulic parts, nuts and bolts and other workshop equipment. I now don’t go screaming from the room when a mouse goes past. Read what I use to be like here. Don’t get me wrong Chris stills knows about the mice it’s just now I don’t pack the van up and move. We still got so much computer work done and we’re currently working on a large Management program. When the farm shut done we asked to stay on and caretake the camp. That is why we bought a greenhouse to grow our own fruit and veggies. OK we might not be as mobile as we use to be. (We use to be able to pack up and move within 20 min) But everything can be moved with the help of a large trailer and a few solid days of work from us. Even now with no residents in the camp Chris and I are still learning. We can kill our own animals, have learnt to skin and butcher them and have become a lot more water-wise with our plants. We believe we aren’t “Green City Folk” anymore. Most of this miraculous change is from patient training from the staff of Koramba Cotton Farm, Dave Reardon who we lost 18 months ago and Shannon Moss. Our whole life has changed due to this wonderful farm we call home…at present.